Young Muriel Freestone started her working life at Oliver’s butcher’s shop in Orwell High Street when she left the village school in 1937 at the age of fourteen. She delivered meat locally by bike and, when wartime rationing was imposed, she had to check on customers’ coupons. 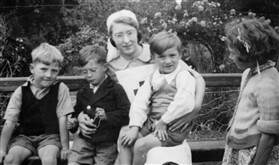 Muriel could have stayed quietly in Orwell, doing this job for the duration but, having completed a First Aid course at Arrington, she decided to spread her wings and in 1940 she enrolled as a nurse at the Red Cross Army Convalescent Home at Wandlebury House on the Gogs. Soldiers of many nations – Czech, Russian, Polish, as well as British - came to Wandlebury to recover from wounds and illness and the nurses were subject to strict military rule while caring for them. “Keep your distance Nurses” was the matron’s order. Early bedtimes were imposed. Food was repetitious but always adequate. The nurses worked shifts and six weeks of night shift duty were followed by six days’ leave, but despite the tough regime life at Wandlebury was often fun. When the Allied forces were advancing into Europe towards the end of the war the Convalescent Home was no longer needed for soldiers and sick children from London were cared for instead. 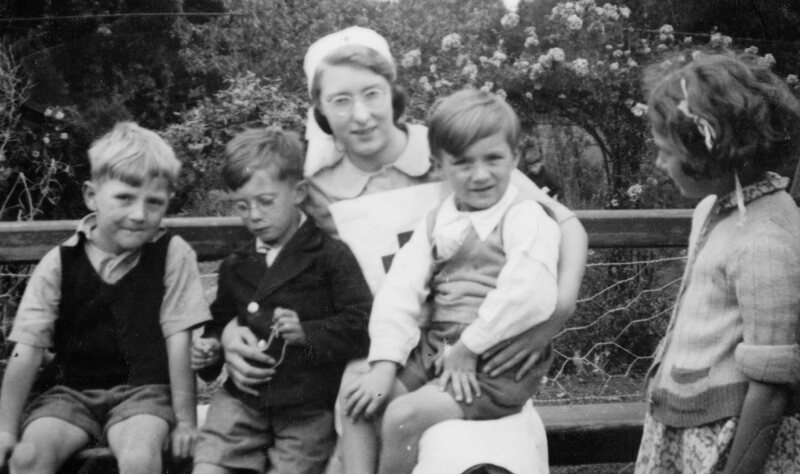 The nurses inevitably picked up all the childhood illnesses and frequently had to spend time in the Brookfields Isolation Hospital in Cambridge. Wandlebury House had its own generator and well, but the well ran dry and children and nurses had to move to Whittlesford Rectory, where Muriel remained on duty until the end of the war. She remembers a brief trip to a local pub in May 1945 to celebrate the Peace, but then it was back to work, until she became Mrs Jim Styles and went to live down in Kent at Gillingham. This page was added by Sue Miller on 03/10/2015.